The round closed frame of the letter “samech” represents an inner core protected by a surrounding perimeter. Its closed circle indicates that Hashem protects His children like a “surrounding wall of fire” (Zechariah 2:9). 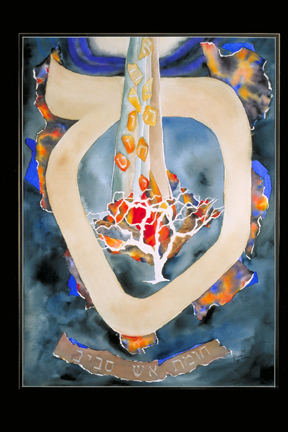 The burning bush is a symbol of the Jewish people and their survival throughout history.